Since the people who have fleeced this couple and thousands of others like them apparently have little remorse, and this type of crime unfortunately is well down on the pecking order in terms of priority, one can only help that Dante’s vision of what happens to these swindlers in the afterlife bears some semblance to reality. 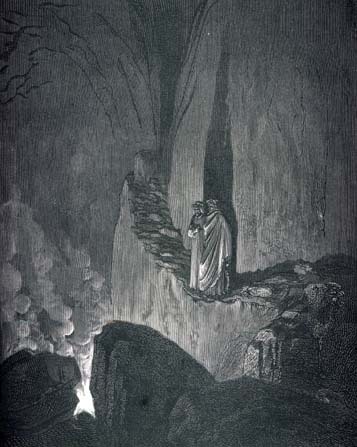 In the Inferno, Dante’s eighth circle of hell comprises 10 circular bolgie, or trenches, filled with fraudsters who have knowingly committed evil. Cheats are assigned to the seventh bolgia, where they’re pursued and bitten by reptiles such as snakes and lizards. The full horror of the thieves’ punishment is revealed only gradually: just as they stole other people’s substance in life, their very identity becomes subject to theft here and the reptile bites force them to undergo various transformations. Seems entirely fitting for those who wantonly rip off the infirm, sickly ailing or otherwise incapacitated. that circle of hell also extends to the group of people abusing disabled and sick people, especially in the state of South Carolina.